As you age, your body’s hormone production slows, which can cause a variety of disruptive symptoms including weight gain, fatigue, and irritability. 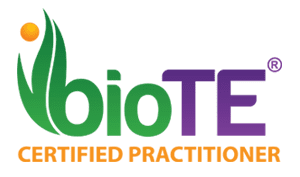 The team at Humble Family Practice, with locations in Humble and Atascocita, Texas, offers bioidentical hormone replacement therapy (BHRT) using BioTE® hormone replacement pellets to reduce your symptoms and enhance your overall wellness. Both men and women benefit from BHRT. Call Humble Family Practice today or schedule a consultation online to discover if BHRT is right for you. 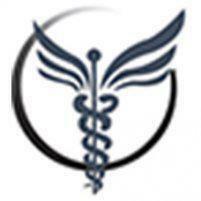 BHRT is a highly customized type of hormone replacement therapy. The team at Humble Family Practice offers BHRT to help you reduce disruptive symptoms associated with menopause and low testosterone. They use BioTE® hormone replacement pellets, which are formulated to meet your specific hormonal needs. Each patient’s symptoms are unique, and BHRT is wholly tailored to address your needs. You may notice an improvement in your symptoms within a few weeks, but in most cases, BHRT provides optimal relief after several months of treatment. The team at Humble Family Practice is committed to improving your overall health. BHRT is an effective tool to reduce these symptoms, but the team also works with you to introduce lifestyle modifications to promote your overall wellness. BioTE is a specific type of BHRT that is entirely plant-based and doesn’t include any synthetic hormones. BioTE pellets are tiny custom-made pellets that are inserted into your upper hip or buttock, where they slowly release hormones to regulate your body function and reduce your symptoms. BHRT begins with a comprehensive exam and consultation including a full blood panel to identify any hormonal deficiencies or signs of other conditions that could be contributing to your symptoms. Once your doctor knows exactly what your needs are, they work with a BioTE- approved compounding pharmacy, where your BHRT pellets are made. When your pellets are ready, your doctor injects a pellet into your upper hip or buttock, where it slowly releases hormones to regulate your body function. During your treatment, you have frequent appointments with your doctor so they can monitor your symptoms and hormone levels to ensure your BHRT is effective. They may adjust your dose or the hormones included in your pellets, if necessary. If you’re interested in BHRT, call Humble Family Practice or make an appointment online today to find out if this innovative and highly customized treatment is right for you.